The Juneau Aiki Dojo is located in downtown Juneau at the corner of Gold Street and First Street, behind the Baranof Hotel. The main entrance is on Gold Street. The dojo has a maple hardwood floor and a 16 foot ceiling, allowing plenty of room to swing weapons. 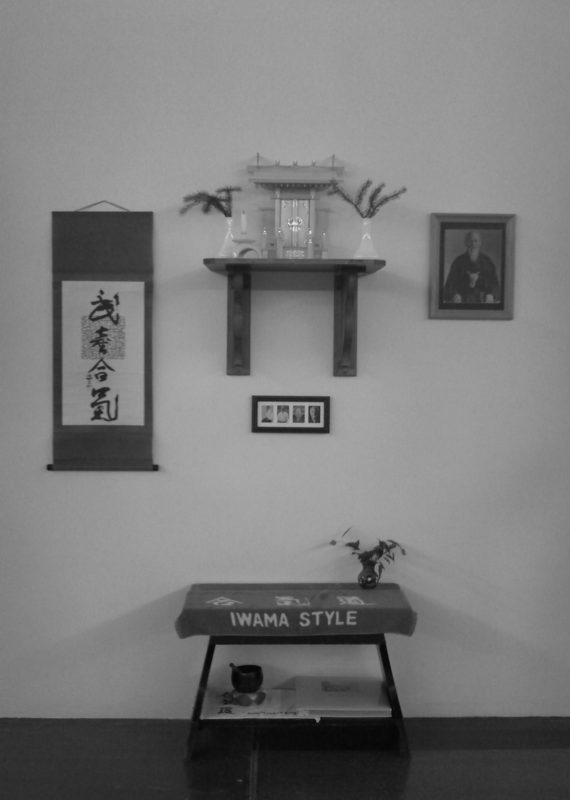 The training area is approximately 1000 square feet, and is furnished with traditional style tatami mats. 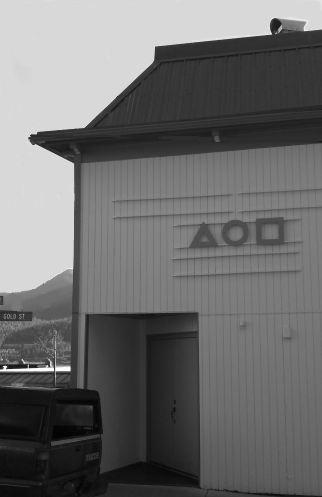 The building that houses the Juneau Aiki Dojo was built in 1940 as a recreation hall for the miners who worked the gold mines in Juneau. In 1943, with most of the men off at war, the mines closed down. After the war, the fraternal organizations for veterans saw their membership grow with the many returning soldiers, sailors, and marines. In 1948, the Veterans of Foreign Wars bought the building to use as their meeting hall. The upper level served as a social and dance hall, while the lower level provided the VFW with a meeting room for the Post. The years took their toll on the building, and in 1968, the VFW undertook significant renovations of the original structure. In 1988, further renovations took place, with the installation of a bar and kitchen in the lower level. At that time it took its present configuration, with a large, high-ceilinged hall above, and a meeting and recreation area on the lower level. Over the years the building came to be known to Juneau residents as the VFW Hall, the location of many wedding receptions and other community functions. In 2007, with their membership in decline, the VFW decided to sell their building. 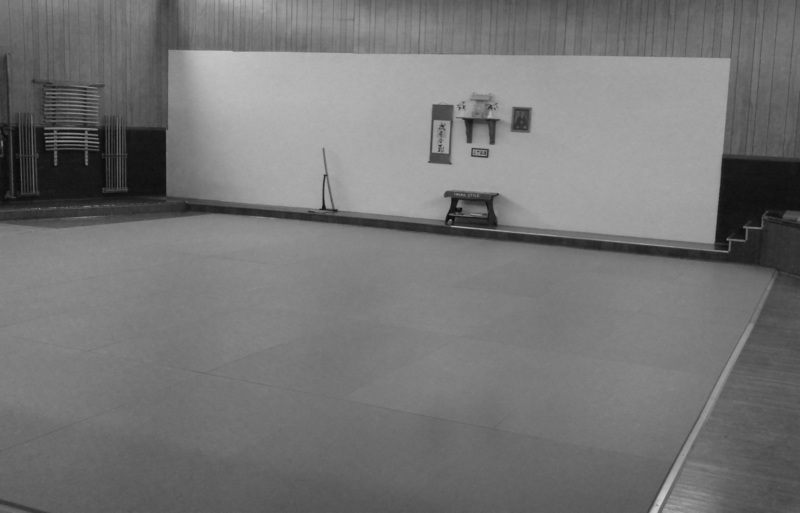 In May of 2008 it became the Juneau Aiki Dojo. 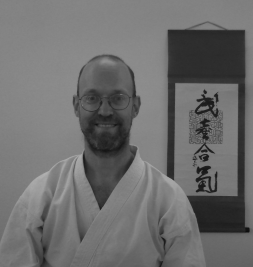 Chris Keller is the chief instructor of Juneau Aiki Dojo. He began studying Aikido in 1979 while a student at Syracuse University. His first sensei was Yousef Mehter, at Aikido of Central New York. In 1982, he relocated to Dallas, Texas, and began studying with Bill Sosa Sensei at Southwestern Aikido Institute. A number of his fellow students from Sosa Sensei's dojo, such as Randy Bonifay, Bryan Robbins, Toby Threadgill, John Lewis, and Miles Kessler have gone on to become martial artists and teachers of note. In 1990 he spent 19 weeks as an uchi-deshi, or live-in student, in Iwama Japan, at the dojo where the Founder of Aikido lived and taught for the last 27 years of his life. His teacher in Iwama was Morihiro Saito Sensei, the longest-term direct student of the Founder. He relocated to Juneau in 1997 and began teaching Aikido through the Community Schools program. He started Juneau Aiki Dojo in May of 2008. During the nineteen nineties, he attended a number of seminars in Dallas given by Don Angier, one of the most skilled practitioners of traditional Samurai arts in this country. Angier's clear enunciation of the principles and subtle technique of aiki jujutsu illuminated aspects of Aikido, and its relation to other arts.